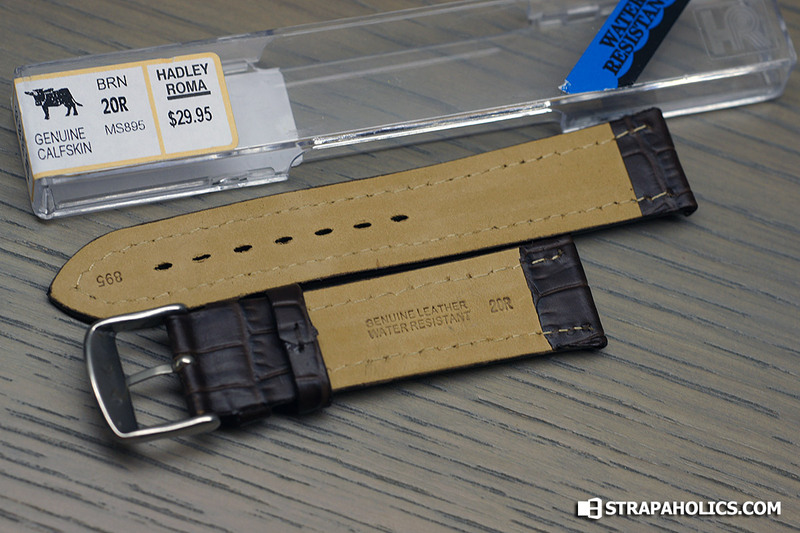 I’ve reviewed the Hadley Roma Alligator print straps before, and this one is in a slightly different 20mm size. Generously provided by Total Watch Repair, who is a dealer for Hadley-Roma. They Hadley Roma straps are great, especially these Breitling-style straps that are great OEM replacements. 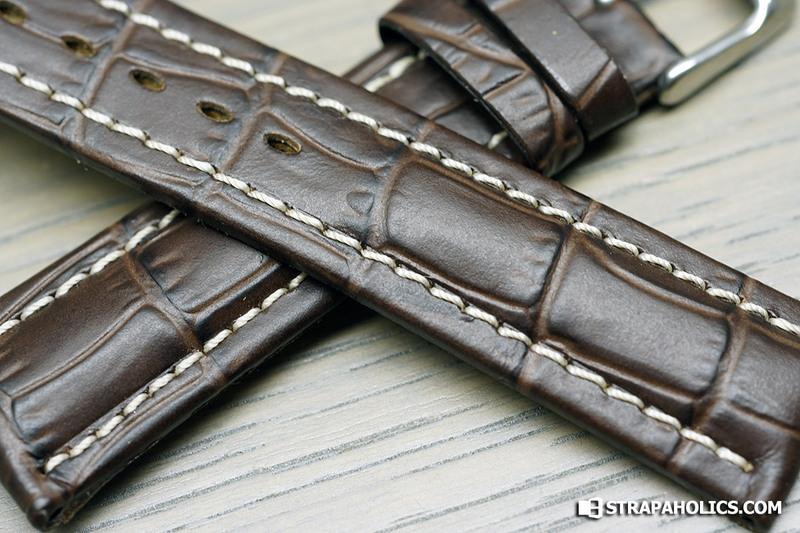 This one is a dark brown calfskin, with faux alligator print on it. The stitching, as with most of the Breitling style Hadley Roma straps is a bit too far from the edge, but it still looks good. 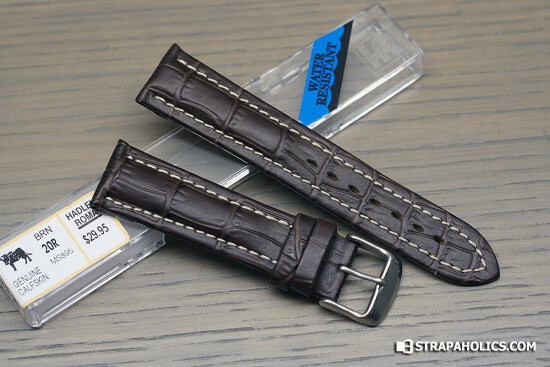 And at the price of $29.95 a strap, its far more affordable than a $200 OEM Breitling. The Alligator print is nicely done on these, without being too obviously printed. A genuine Crocodile or Alligator will run you close to $200 from Hadley Roma, and close to $500 from Breitling. Definitely the cost-effective choice to go this route. The back is lined with a soft, nubuck style liner that is very comfortable on the wrist. Features one fixed and one floating keeper, sames as OEM Breitling straps. This 20R strap tapers 2mm to 18mm at the buckle. Great reliable straps, highly recommended.